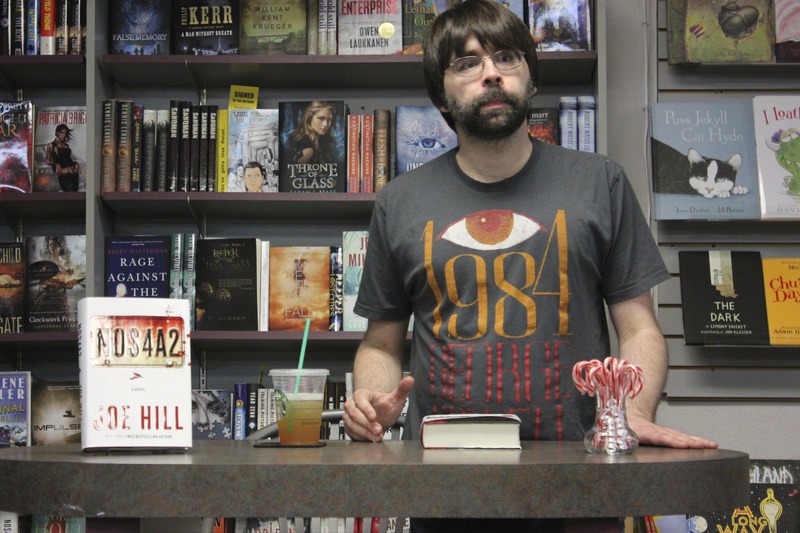 On Tuesday Joe Hill read from his new novel, answered questions and signed books for 150 fans at Mysterious Galaxy Books in San Diego. 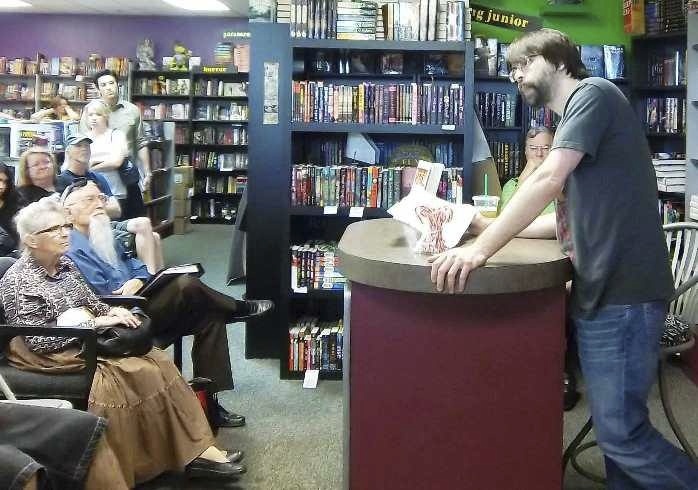 This was one of his many stops on a tour to promote NOS4A2, his latest epic. 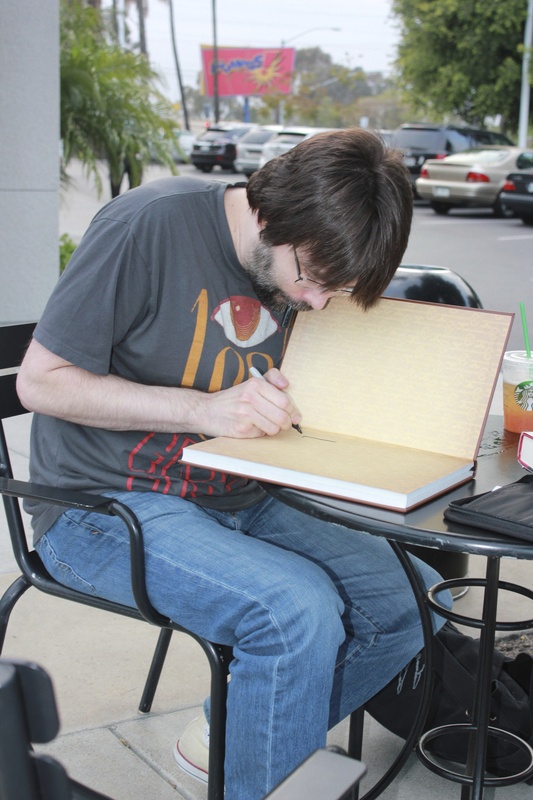 Joe was kind enough to allow me to sit down with him at a local Starbucks before the event and ask him a few questions about future projects, summer blockbuster movies and family. I was thrilled to spend a few minutes with one of my favorite authors and found him to be funny, affable, intelligent and just an all around good guy. 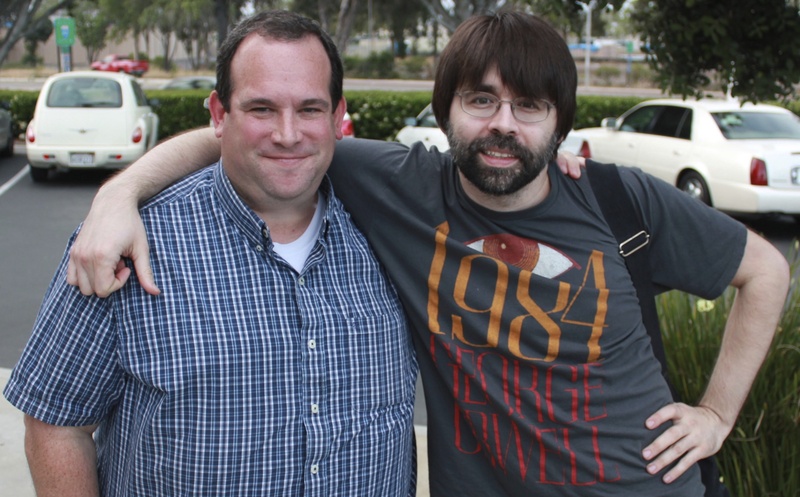 THE FIRE WIRE: Joe was purchasing a lemonade with a Starbucks app so I asked if he considered himself a “techie”? Joe Hill: No not really, although I am a big fan of my iPad and obviously I use twitter quite a bit. FW: First let me thank you for taking time out of your busy schedule to meet with me. I really appreciate it and want to congratulate you on the new book and tour! JH: Thanks, happy to do it. FW: You’re busy wrapping up Locke & Key. Do you have time to read any comics. JH: Although I wasn’t a fan of Hawkeye in the Avengers film, his armpit hair seemed way to coifed, I love the comic by Matt Fraction. He writes in a very technical almost schematic way. I am also going back and rereading All Star Superman by Grant Morrison. When I was younger I loved Neil Gaiman’s Sandman, Alan Moore’s Swamp Thing and Frank Miller before he went crazy. 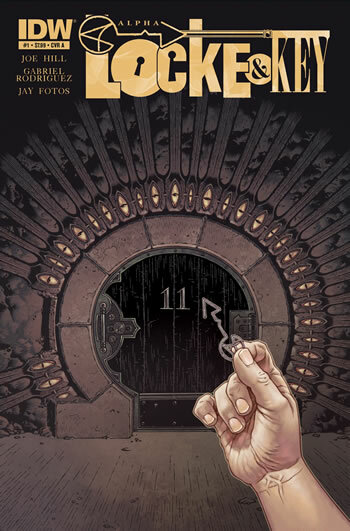 FW: Let me just say that Locke and Key is what I call an “appointment comic”; the minute I get my hands on a new issue, I have to put everything aside and devour it. I am a little sad that it’s coming to an end and I don’t think things are going to end nicely for the Locke family. JH: Well the whole family dies in the next issue (evil laugh), oh maybe I shouldn’t have shared that with you. FW: I read comics on my iPad now, what about you? JH: Naw, every two weeks or so I hit up the local New Hampshire shop, Jetpack Comics and pick up my books there. FW: What about eBooks versus traditional books. JH: I’m not against eBooks but there is something to be said about opening up a real book, it’s tangible. 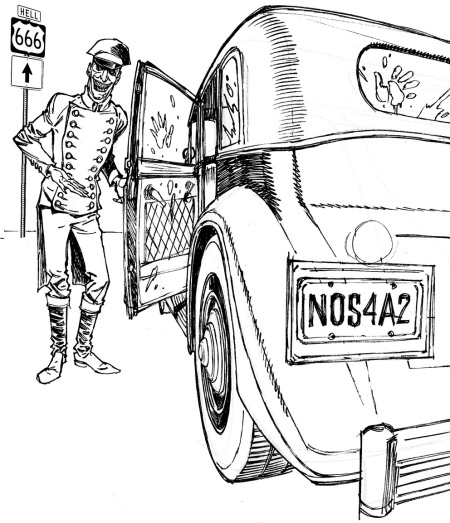 We really made an effort with NOS4A2 to add flourishes that would make the book stand out such as illustrated endpapers, beautiful artwork from Gabriel Rodriguez throughout the novel and a naughty and nice list that people can fill in. 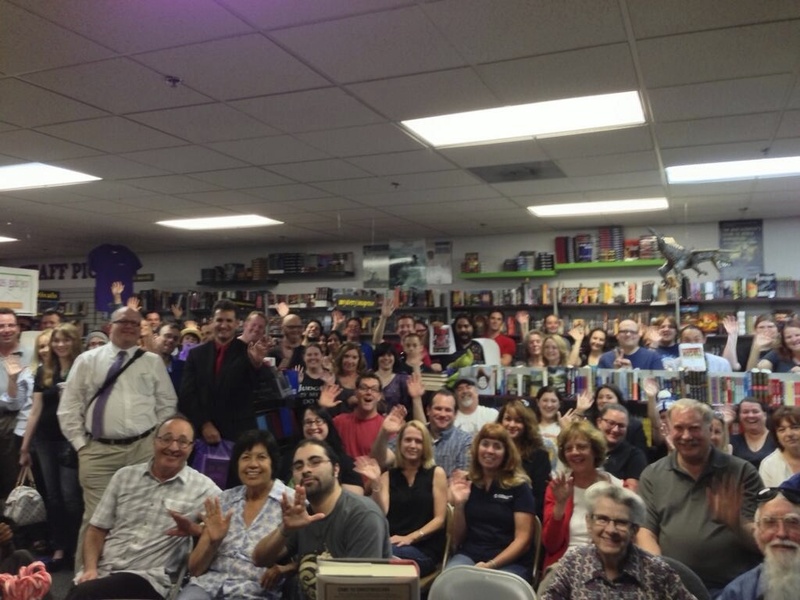 I’m touring and visiting independent bookstores and I thought of a great idea that the shop should implement. No one has done this before…a drive up window. The customer would ask for a large order of Horror with a side of Fantasy and they would be handed a bag filled with books that they could read when they got home. Someone should do this! Speaking of cinema, are there any summer movie blockbusters that you are excited to check out? Iron Man 3 or Star Trek for instance? JH: I am a little tired of all the superhero stuff however I am really looking forward to Joss Whedon’s TV series Marvel’s Agents of S.H.I.E.L.D. How do you think they are going to bring agent Coulson back. Wouldn’t it be cool if he were the Vision. I loved that character and have a fondness for the Scarlet Witch too. FW: Although I heard rumors about the Vision, I think Nick Fury had some S.H.I.E.L.D. Neosporin and was able to attend to Coulson’s wound and then created a ruse to force the Avengers to assemble. FW: How do you feel about these book tours? Do you enjoy them or do they grow tiresome? JH: I love them. The people and the response to the book has been great! I am so appreciative of anyone that’s willing to sit for an hour and hear me talk about books. I mean Iron Man 3 is playing up the street and there are thousands of great cat videos on the internet. FW: Between writing comics or fiction, do you have a favorite. If you had to choose one over the other and pick? JH: I don’t need to do that. FW: What if you were in a boat and comics and novels were drowning and you could only save one. JH: C’mon please don’t give me the Sophie’s Choice question. I would pull a Kobayashi Maru, jump in the water save both punch the shark and call it a day. FW: Let’s talk about the future. Over the next few years you have quite a few projects coming out and I thought we could talk about them. Tell me about WRAITH. JH: I’ll do my best to tell you what I can. A lot of stuff is under wraps. IDW Publishing will be releasing a 5-issue comic book this summer, titled WRAITH, which explores a place called Christmasland that figures prominently in the novel, NOS4A2. It will be illustrated by Charles Wilson III. I’ll be writing a caped superhero character from either DC or Marvel but I can’t say who it is. FW: Can you tell me if the character is DC or Marvel based? JH: I can tell you it will be either DC or Marvel. Once Locke & Key wraps up with two issues of Alpha there will still be future stories about Keyhouse as it was designed to be episodic. You can expect to see Locke & Key Golden Age and Battleground which is a WWII story. The novel that I am currently working on is The Fireman and that’s all I can share right now. FW: Is it about me? JH: Yes, it’s about what makes Larry Fire tick and the dark psychology behind this troubled person. FW: So, it’s going to be a pamphlet. Gunpowder will have it’s next self contained story titled, “Slave Girls of Gunpowder”. 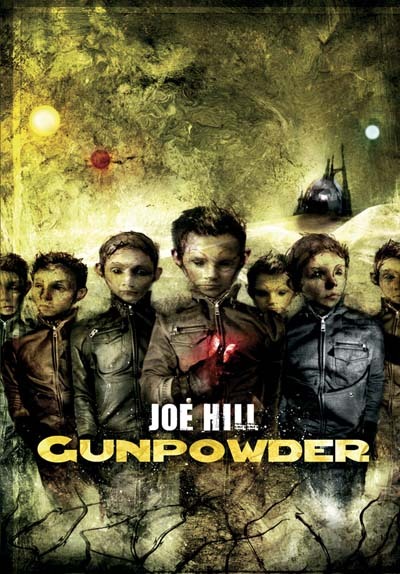 Gunpowder will eventually be 4 books that all tie together to make one large story. Eventually the books will be combined in a single volume. Lastly in August, I will release an eBook called, “Twittering From The Circus of The Dead”. It’s a short story that first appeared in The New Dead: A Zombie Anthology. JH: Yes sometimes, but not all the time. My family is great and very supportive. We had a normal childhood, after dinner we would all gather in the living room and read and pass around books, so the act of reading was engrained in me at an early age. FW: I should mention that Joe has collaborated with Stephen King on a few projects such as the IDW graphic novel Road Rage and the short story, “In The Tall Grass” that was published in Esquire. 2013 will be a tremendous year for your family. You’ve just released NOS4A2 and I’ve only read good press about the book. Owen just released his first novel, Double Feature and your Dad has Joyland and the Shining sequel, Doctor Sleep coming out later this year. The King family could dominate the New York Times Best Seller list. JH: And don’t forget my sister-in-law, Kelly Braffet, she has a wonderful novel called Save Yourself that is due in August. It’s a great book! FW: Well, again thanks for taking the time to speak with me. I wish you all good things and safe travels on your tour. You made this fan’s day! JH: I’m glad we could do this! Larry, I loved your site. 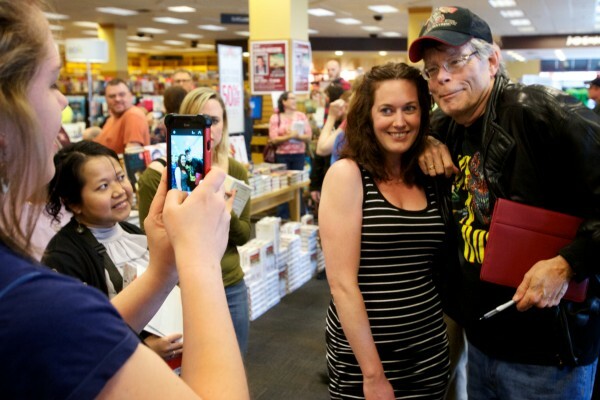 I´m from Brazil and I love Stephen King e his son Joe. 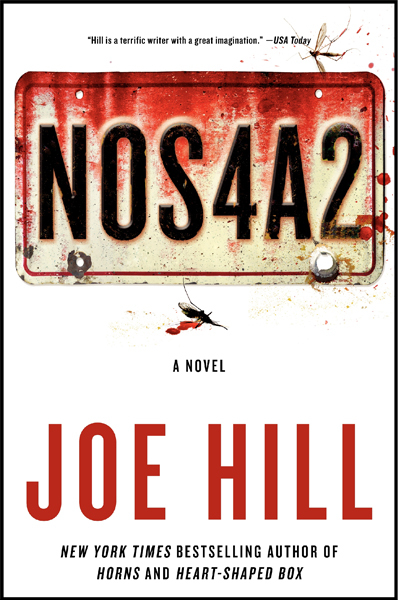 Have you already read NOS4A2? It´s the best book of Joe career? It´s a new classic like The Shining of Stephen King? I loved your site. You have a young soul. Thanks for the nice words. 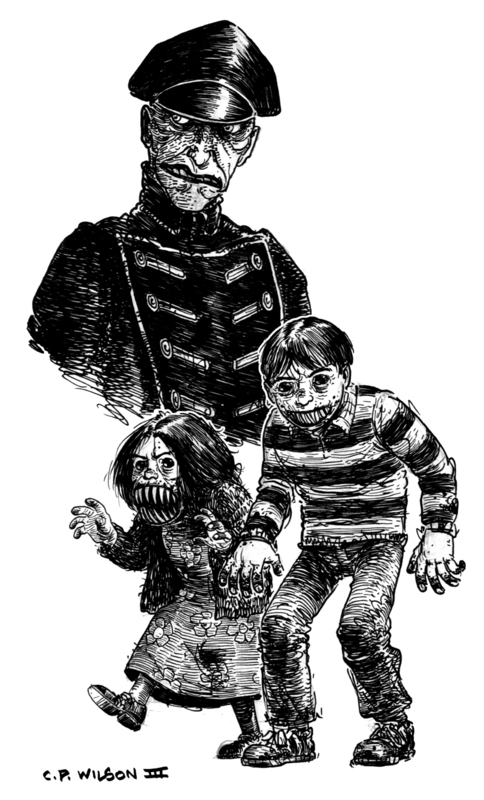 I am currently reading NOS4A2 and I love it. 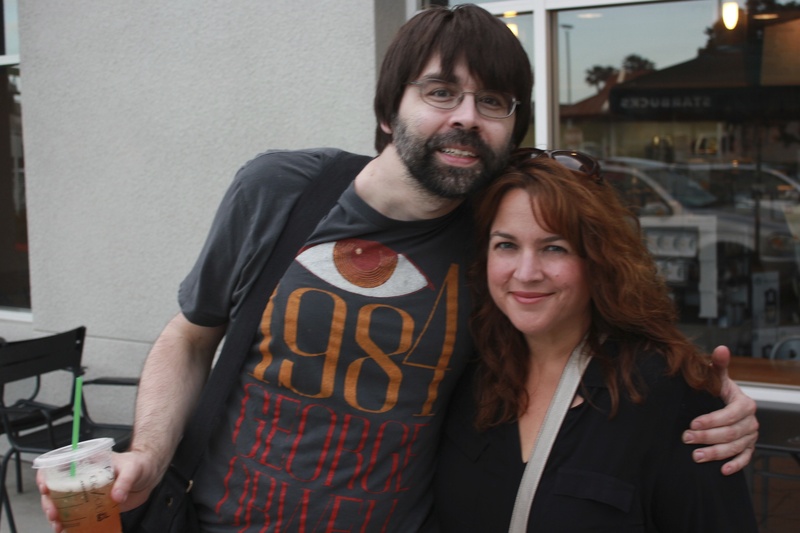 Joe is a wonderful writer and a great guy. I’m glad that you enjoy my site! I´m curious to read, and waiting for Horns with Radcliffe. And very crazyyyy to read Doctor Sleep too.Thanks for your time Larry.